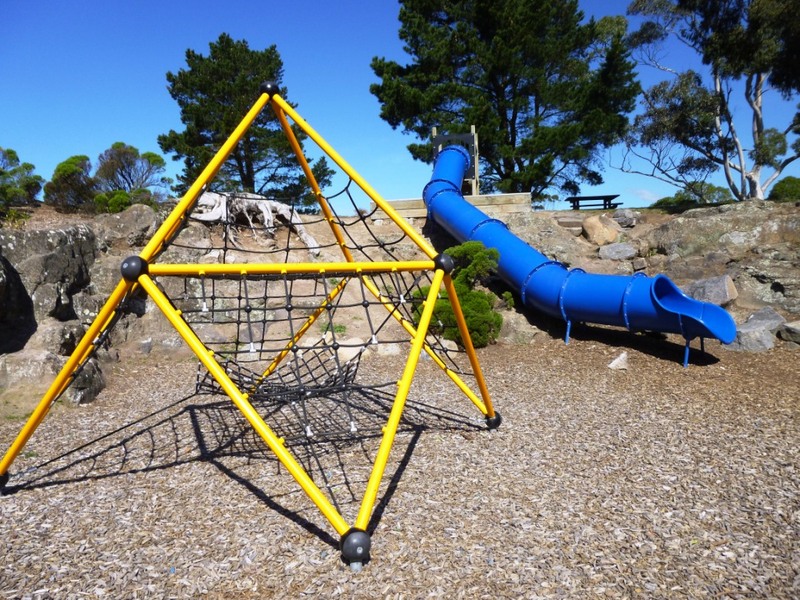 Brownlee Reserve is a picturesque park and playground with stunning views. Check out the twisty tunnel slide and rope swings in the trees. There’s a flying fox perfect for younger family members, and a modern rope-style climbing frame. Head towards Sumner and Brownlee Reserve is up Clifton Terrace. Turn on to Panorama Road for the most direct access to the reserve. See map below. There is a picnic table but no toilets. We visited Brownlee Reserve in October 2015 (spring).